I’ve been supporting McLaren in Formula One for as long as I can remember, cheering on the likes of Senna, Häkkinen, and Montoya in the glory days. Sure they’re dead last in F1 this year, and it’s been painful watching them struggle, but there’s nowhere to go but up at this point for the second oldest Formula One team on the grid. Their new road car division however, has been really hitting the marks with products that caters to Generation X’ers struggling through mid-life crisis with really deep pocket books. 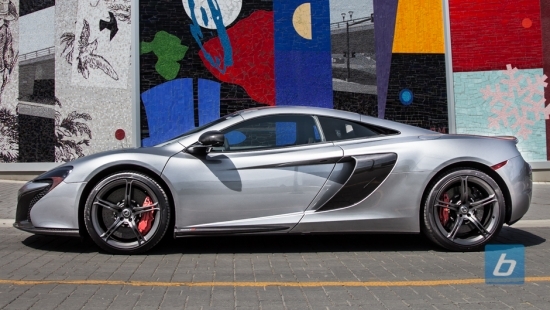 And today, with the unveiling of the McLaren 570S Coupé, the price of admission just got a little more affordable. Targeting the upper sports car customers, McLaren has aggressively set the target in the $180,000 range, making the 570S by far the most attainable McLaren to date. First in the line of the newly minted McLaren Sports Series, the 570S brings race derived technology and unparalleled performance into this sports car segment held by the Porsche 911 Turbo, the Audi R8, and the now discontinued Mercedes-Benz SLS AMG. What does McLaren bring to the table? 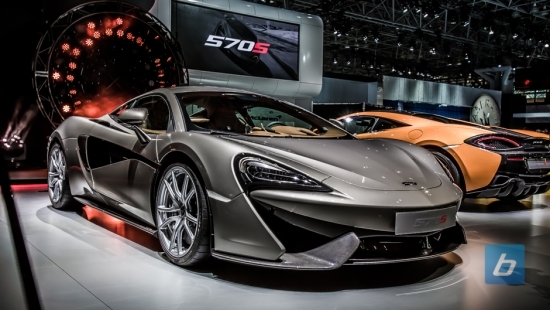 The 570S features the only car in its class with a Carbon Fiber monocoque, dubbed the MonoCell II in McLaren speak. Derived from the 650S’s MonoCell, it weighs around 170lbs in the 570S, offers exceptional strength and stiffness, and brings the weight of the 570S down to around 2900lbs. The engine, another derivative from the 650S, pumps out 562hp (570PS, hence the name), giving the 570S a blistering 5.2lb/hp power to weight ratio. The combination results in a 0-100km/h time of 3.2 seconds, 0-200km/h blast in 9.5 seconds, and a top speed of 204mph in a mid-engine RWD package under $200k. Isn’t it great having big brother pay all the R&D bills? With the 2014 Formula One World Championship now drawn to a close, all eyes are fixed on next season. And for both McLaren and Honda, that means the dawn of a new era – or hopefully, the return to one bygone. Hot on the heels of confirming its upcoming “entry-level” model, McLaren has released a solitary teaser image of that new vehicle undergoing testing. McLaren is dropping its alphanumeric model-naming scheme when it comes to its upcoming model to slot into the bottom of the brand’s supercar lineup. Unlike the 650S or P1, the vehicle previously known as the P13, is now rechristened with an actual title as the Sport Series.